Expertly composed using Sarah's knowledge of floral fragrances, Sarah Horne Botanicals scented candles are carefully blended to indulge the body and soothe the senses. 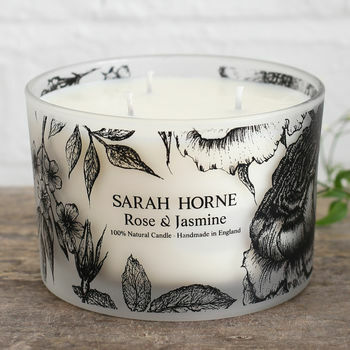 This heavenly scented candle, decorated with original Sarah Horne illustrations to match its scent, make the perfect gift to add style and natural fragrance to any home. It also melts into a luxurious warm oil to massage over your skin. 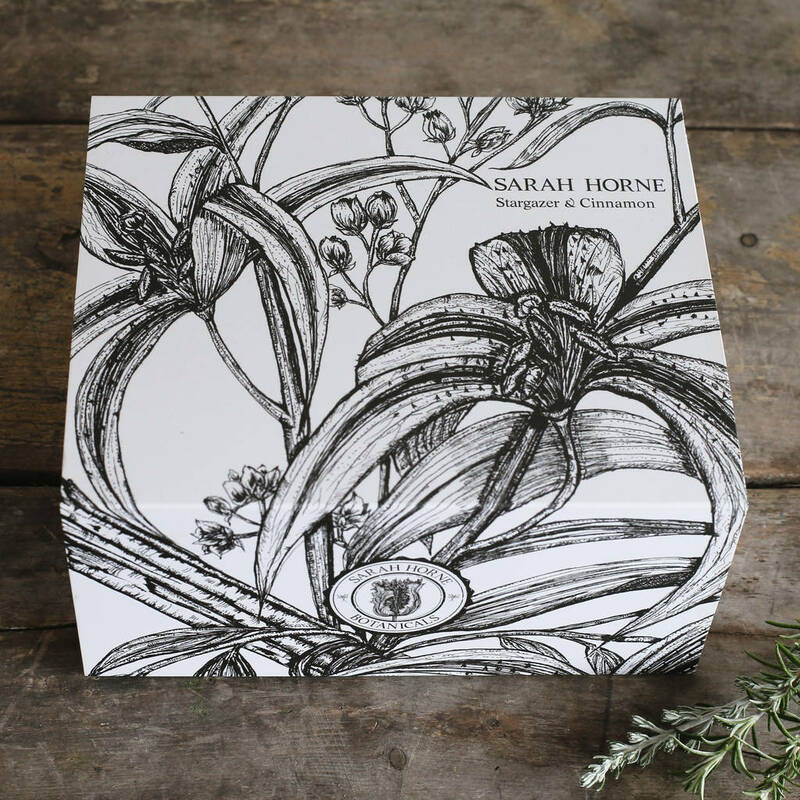 Packaged within a beautiful Sarah Horne Botanicals gift box. 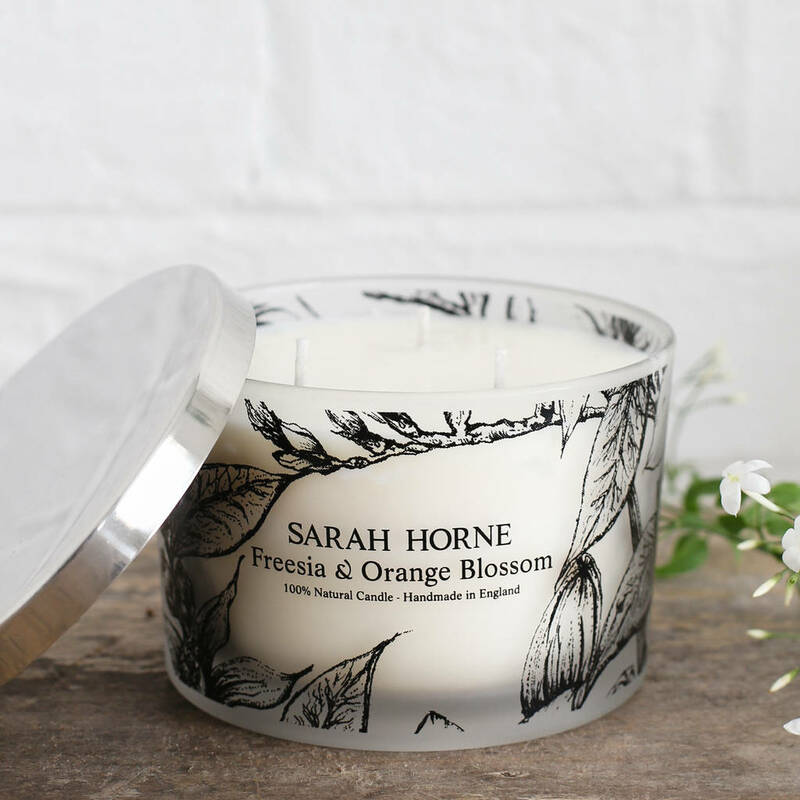 The candle is available in 3 scents - Freesia & Orange Blossom, Rose & Jasmine and Stargazer & Cinnamon. 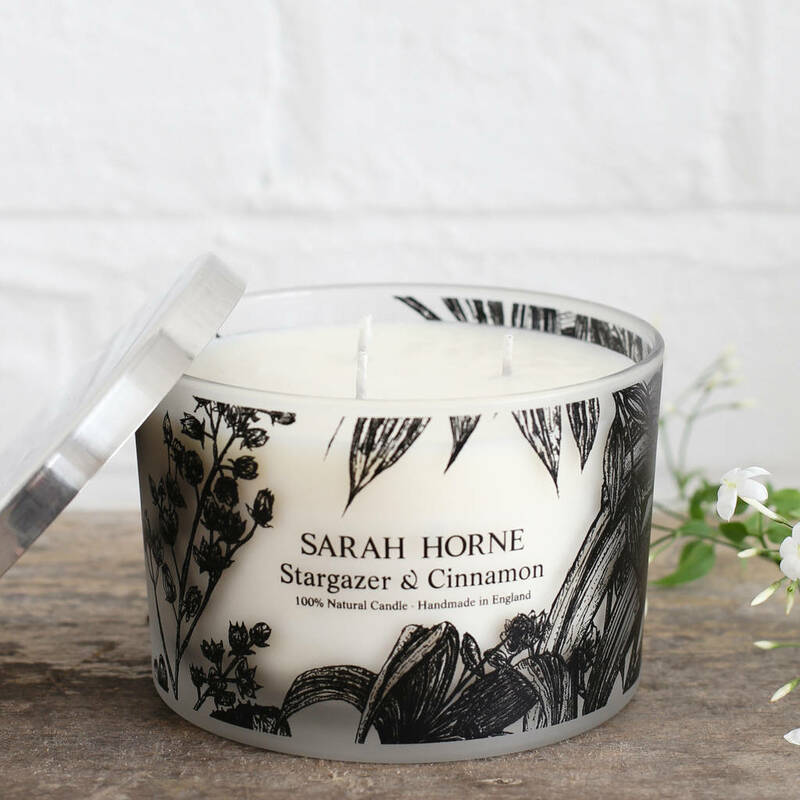 Each candle is hand-poured in the UK from 100% natural ingredients and has a burn time of approximately 70 hours. Candle: Diameter 120mm x Height 80mm. 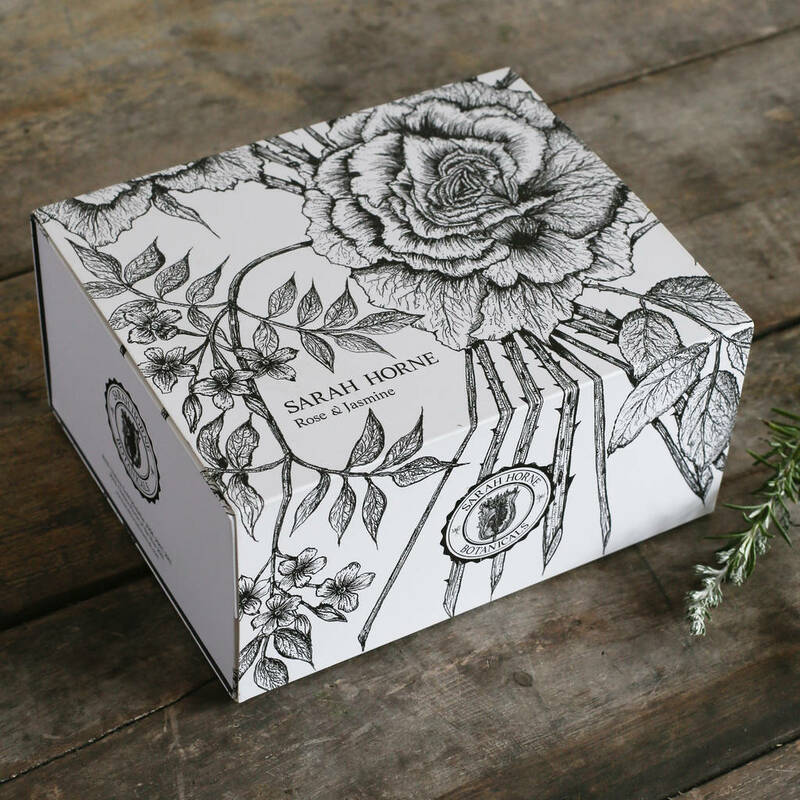 Gift Boxed: 110mm(H) x 220mm(W) x 180.5mm(D). 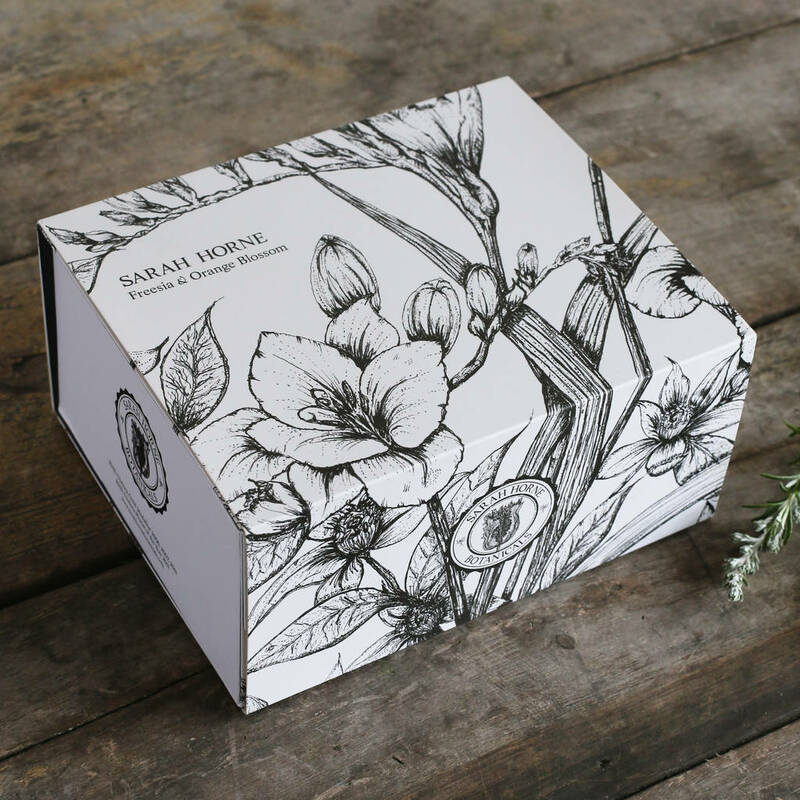 This product is dispatched to you by Sarah Horne Botanicals.